Legislators from across the political spectrum sitting around a table, moved to the point of tears and handing out tissues to each other. Who would have believed this could ever happen? Certainly not me – in Britain or anywhere else. But it’s exactly what I witnessed when a group of transgender Israelis shared their personal stories with lawmakers at the Knesset. It was an emotional morning for me also. Being part of Israel’s first such consultation was a privilege. And it was history in the making. I was a delegate at the 40 Years of Pride LGBT Leadership Conference in Tel Aviv, attending thanks to A Wider Bridge and the Ritual Reconstructed project, and was invited to attend the historic assembly in Jerusalem as part of the conference programme. 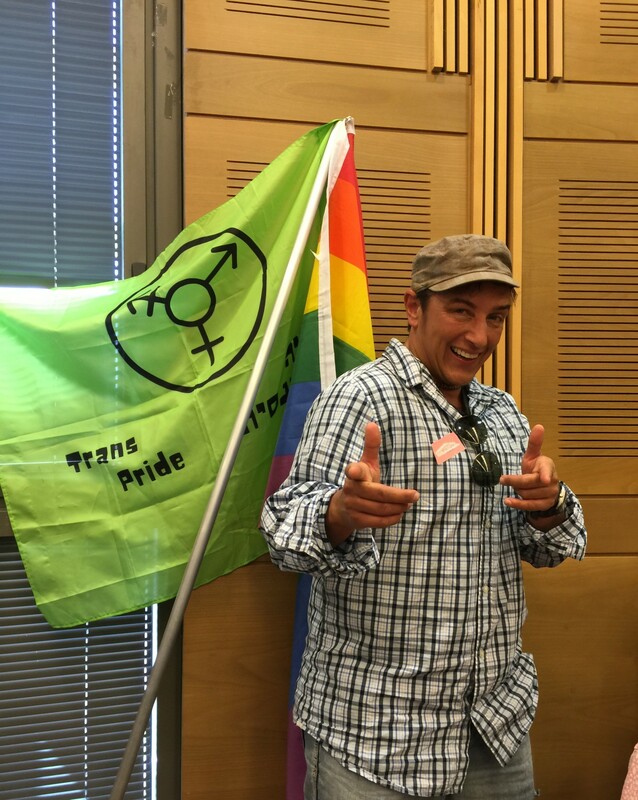 An Israeli LGBT activist announced that a bill had just been submitted that would equal transphobic violence with hate crimes. The loudest cheering was for Marsha Botser, a transgender pioneer and founder of the Ingersoll Gender Center in Seattle, who addressed us. Once more it was clear that the stories and experiences we have collected at Rainbow Jews, Twilight People and Ritual Reconstructed are powerful campaigning tools – oral history is about human experience, and sharing our struggles and victories can facilitate change. I walked out in the bright midday sun, feeling full of hope and anticipation – that despite our differences we can work together and make the world a better place. • Surat–Shaan Knan is the project manager for Twilight People, a transgender oral history project hosted by Liberal Judaism and supported by the National Lottery through the Heritage Lottery Fund.